In today’s society, you can barely say you need to grow your own food. After all, you can buy everything you can think of from the supermarket. However, that doesn’t mean that there aren’t plenty of reasons for you to grow your own produce. Just think about the health benefits and the fact that you will be in control of what comes into contact with your food. Now, some people decide to start growing fruits and vegetables in their garden simply because they enjoy the process. Regardless of why you decided you want to grow your own food, here are 6 general tips to help you get started. Naturally, not any type of fruit and vegetable is adequate for the region you live in. So before you start planting things, make sure to be absolutely positive that they can grow in your garden. There are many factors to be taken into account here, from the climate, to the soil, the amount of rain that you normally get, and how much space you have for this purpose. Now that you know what you can grow in your garden, it’s time to think about what you want. The best way to figure that out is to consider what you want to get from your fruits and vegetables. For instance, if you want vitamins and minerals, try planting cabbage or lettuce. If you want carbohydrates, grow beets or potatoes. The same thing goes for fruits or grains. Another important thing you have to remember if you want to grow your own food is that the way you arrange items in your garden is crucial. You have to take into account topography, exposure to sun, if your plants are going to need separate fences or not, and so on. We suggest you put everything on paper before you start putting it into practice. Where are you going to store all your fruits and vegetables once you harvest them? If you only plan on growing a few, and you don’t have to leave them lying around for too long, then you probably have enough room to store them somewhere in the house. However, if the harvest is bigger, you will need an extra storage space according to the needs of your crops. It’s great that you want to grow your own food. However, you should remember that this usually comes with an investment. Not that this should discourage you, but that it should remind you to calculate the costs before you start growing anything. Finally, if this is your first time trying to grow your own food, it is better not to get overly-excited and start planting a lot of various fruits and vegetables at once. We advise you to start with only one or two types of produce, and see how they develop and how much time you have to invest in taking care of them. Then, you can start planting more as you get more experience. 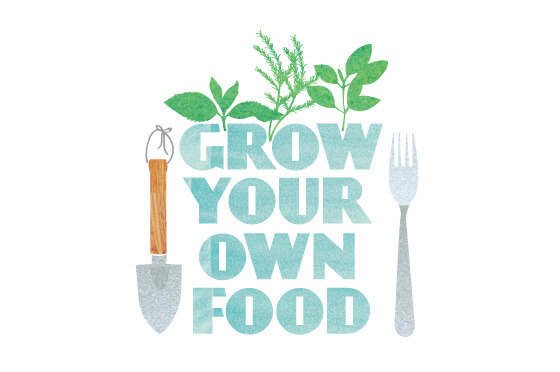 We hope our tips and tricks on how to grow your own food will be useful to you whenever you decide to plant some delicious produce in your garden.